Primers are potentially one of the most controversial items in the beauty world. Do they work? Do we need them? Do they actually do anything? Or are they just emperor's new clothes? To be honest, I'm not sure I know the answer! Sometimes primers have helped my makeup look better (i.e., when I used to use Laura Mercier Powder Foundation; her primer is amazing when used in conjunction with her other products). But other primers have literally done nothing to improve makeup wear time or skin texture (I'm looking at you, Benefit Porefessional). But what with hitting the other side of 25 a few years ago, my skin has been just crazy. In addition to all of the rosacea, my skin has also become quite dehydrated. And lately it's been prone to this crazy hormonal acne (it never ends, does it!?!). As a result, I have been constantly on the lookout for products that will inject a bit of glow into my complexion. I have had the best results in terms of hydration and glow with skincare, but I was eager to try the Becca First Light Priming Filter. It promised a "soft-focus" glow and to banish any sallowness or dullness in the complexion. 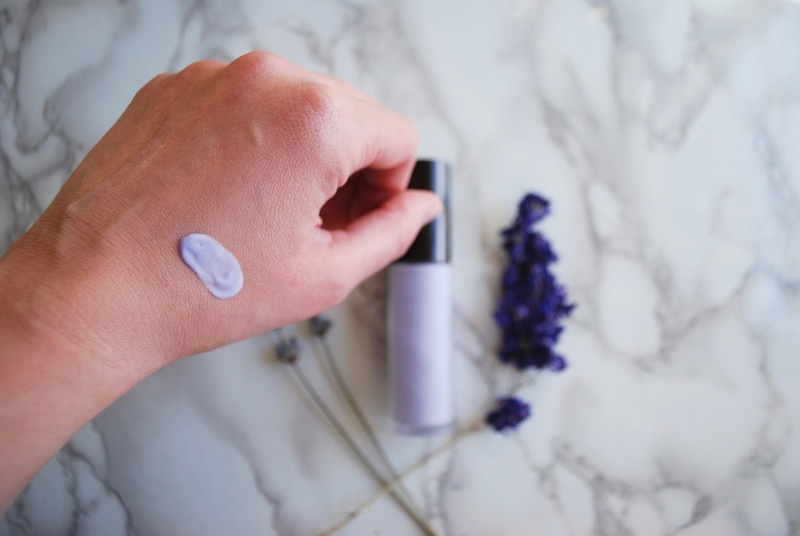 Guys, this primer is purple. Purple! When it blends out, the purple tones totally go away. When you use one pump on the skin after skincare, before makeup, it gives you quite a shiny look to the face. It does indeed help with sallow tones, but not in a dramatically helpful way. My other dark-circle gals will be disappointed with this one. My opinions on this are mixed. It definitely gives you a glow, but even on my dehydrated skin, it often reads as "shiny". Also, it doesn't do anything life-changing for dullness and doesn't help makeup sit better. It does nothing to hide pores or provide a "soft-focus" look. 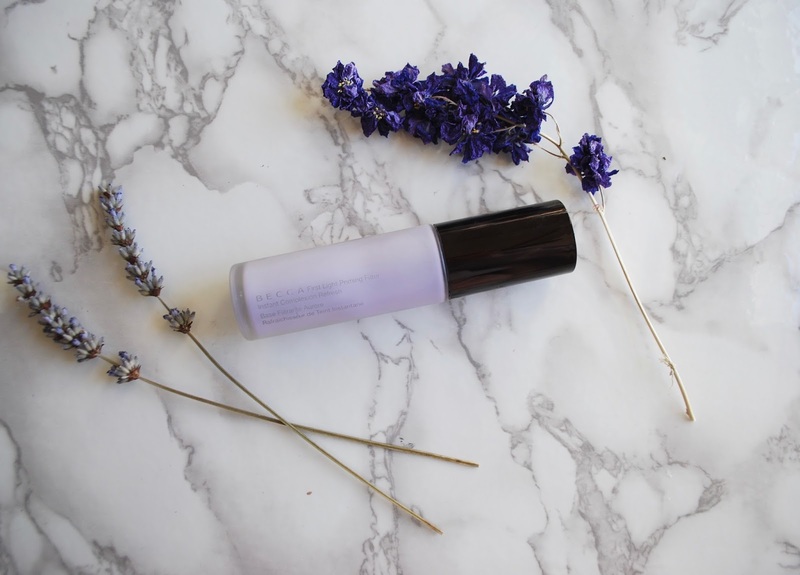 It does help makeup stay on a little longer, though, and it can be nice to slap on if you're having a no-makeup day, but want your skin to look a little bit enhanced. Because of all the negatives, I'd have to say that this is not worth the hype. I do really want to try the Becca Backlight Priming Filter though...have you guys tried it? What do y'all think of this product? 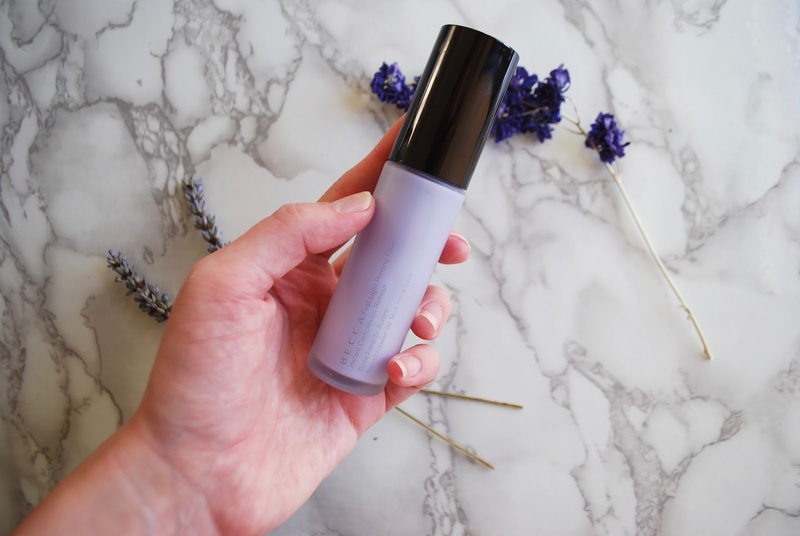 What's your favourite primer? Hmm based on this I think I'll probably stick to the original Backlight Priming Filter, which I love! !!!!! *happy dance*!!!! when one of your favourite bloggers comments on your post!!!!! thanks so much for commenting! By the way, if you have any tips for bloggers just getting started (although I have read and loved your post on this), I would be super grateful. I love your content!